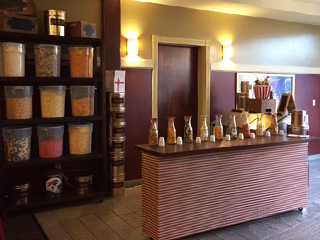 The Aurora Popcorn Shop is a fun place to stop in and shop. 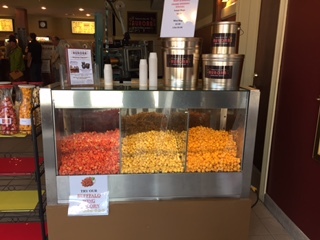 You can sample a selection of our popcorn at our tasting bar, watch caramel, cheddar and our gourmet corn being made, and buy a selection of our freshly made popcorn in a variety of packaging options. You can also Shop Online anytime! And whenever the marquee is on!